The interest shown by Shankarapur Municipality towards the waste management of its area is being positive. 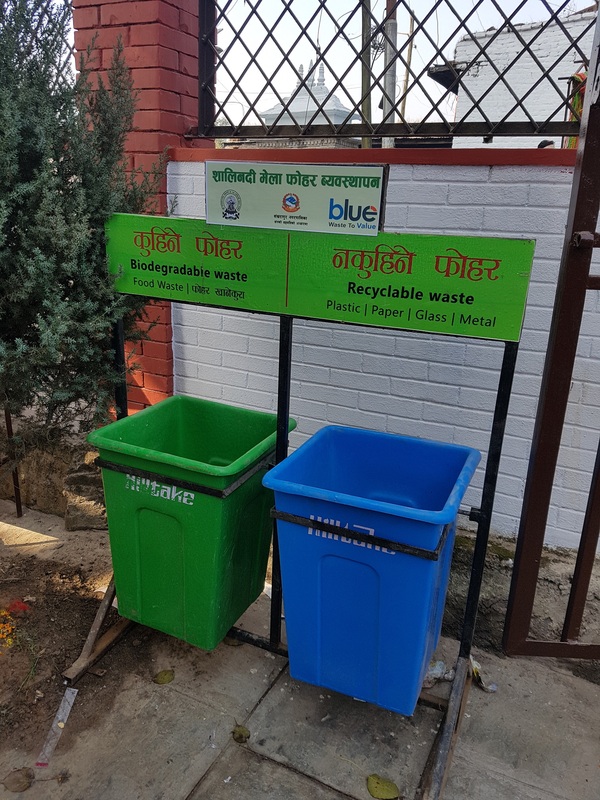 The municipality in public-private partnership with Blue Waste to Value Pvt. Ltd., agreed to manage both the organic and inorganic waste generated rather than to transfer or dump. The project was initiated in last Shrawan and about 30 metric tons of waste was collected from ward no. 6 and 7 which was properly managed, said the CEO of Blue Waste to Value Pvt. Ltd. Also he said that, the waste management started as pilot project in two wards of Shankharapur municipality have been practiced positively. Shree Madhav Narayan Brata Mela 2075, is the massive event this year happening at the ancient modern city of Nepal, Sankhu. People across the country and also from the neighbouring country visit this religious event. The event takes place every year and the crowd is expected to gross 2 million this year. With the religious value of this event, the mass of people visiting the Salinadi Temple are coming with the materials required for the ritual to perform in the event. And with such considerations the volume of wastes that will be generated is massive and in require of the proper management with environment friendly measures. For students to become competent graduates, it is important to understand what is happening in the actual field. Thus, with an objective to show career opportunities to the students of Environmental Science, Blue Waste to Value was invited as a guest speaker at the seminar "A Look into the Future: Environmental Science". The talk program was organized by Nature and Social Concern Society (NSCS) at Kathmandu University, Dhulikhel on 1st February, 2019.